Increase Oven Efficiency – As a stove gets older, the original insulating material can deteriorate. When this happens you may start to notice that your kitchen range seems unusually hot. This is a huge waste of energy. during the winter with all the windows wide open. Replace insulation with J.E.S. Enterprises superior Super Hi-Heat range insulation. Keep the majority of heat inside the oven or broiler where it belongs. Blanket Style = Easy Install. Let us know number of feet needed. Whole Roll or by the foot. Prices vary. Length: Minimum 2 feet to any length needed. Width: comes in a 2 foot wide roll. *For Newer Stoves: Look underneath, see if the bottom needs insulation. Call (805) 643-3532 or Email TOAC@sbcglobal.net for Pricing and Assistance. If you prefer Loose style Insulation: clean used gray Rockwool is also available. For Loose style Rockwool Insulation click here. Household style insulation melts and smells...Other insulations are not High Heat! Don't pay twice by getting the wrong type. Get the right high heat insulation that Lasts and Keeps your Kitchen Kool! Type 1 - up to 1,000 degrees, 2" thick. Type 2 - up to 2,200 degrees, 1" thick. Insulation Rolls are 2' wide. Blanket types come in a 2 foot wide roll. How to Measure ... See below. After a stove has been around for a number of years it can start to have a bad smell. super HI-Heat range insulation from J.E.S. Enterprises. Take off the stove panels. Measure length to be replaced. Rolls are 2' wide by any length. Once replaced, your stove will be like new all over again! Our insulation is made of the finest grade stove insulating materials. It utilizes a special textured fiberglass weave employing millions of ‘air sacs’ that super-charge or magnify the insulating properties inside the walls of your range. 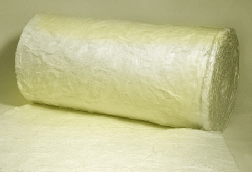 Fiberglass, Asbestos, Rockwool or other insulations. E-mail or call J.E.S. Enterprises for the best and most economical way to re-insulate your stove. when it rolled off the factory floor. Stored Gallons of Dog Kibble inside their Range! One afternoon my husband had a spill on the stove top and was afraid that it may have leaked through to the burners into where all the insulation would be. Usually that’s not an issue as this type oven has the spill proof rings around the burners. But just to make sure, he checked. And thank goodness he did. He was absolutely astonished; mice had taken up residency. There was, and I’m not exaggerating, a 13 gallon trash can that he filled up with “kibbles” as in dog food! In addition there were also three dead mice and mice droppings. Needless to say he tried to clean it out as best as possible without destroying the insulation, but to no avail, the electric wires were just too exposed, consequently that would have burned the wires and created an even bigger problem. So for a month I didn’t cook. I wanted to take a moment and thank the men and women that work at TOAC. Everyone I spoke with was very nice and professional. They helped me with my stove insulation needs. "This is great stuff. The old insulation was not in bad shape but it definitely needed to be changed. The quality of the (new) blanket is amazing and the fact that it doesn't splinter into your skin during installation is a big plus. I would rate this as a five star product out of four stars. I was impressed - a rare experience that I truly welcome." YOU WON’T BELIEVE WHAT A DIFFERENCE NEW STOVE INSULATION WILL MAKE. Measure: Open your stove, measure insulation needing replacement. Or, measure length/width of stove panels. 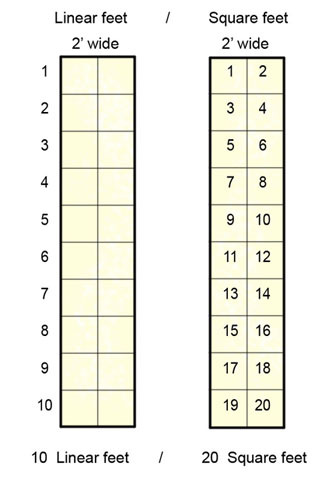 To Order - call or email exact number of linear or square feet. Insulation comes in a 2 foot wide roll. Easy to install, thick soft blanket, no mess. Easy to cut with household scissors. JES Enterprises, Inc. is not responsible for any damage due to installation, local codes, stove specifications, or misuse. We recommend a professional appliance technician to properly and safely install. Typically ships within 24 hours if you call your order in early. as well as Pay Pal for Fast ordering! TOAC Club Members ask for your Discount. in the refractory industry behind fire brick. Make Your Stove 'Showroom New' Again !